Comsof and COS Systems announce that FiberPlanIT, used for automated FTTx network planning, and COS Service Zones, used for Demand Aggregation, have been verified to be used collaboratively to enable fast and accurate fiber plans and deployment cost estimates based on actual customer demand. Ghent, Belgium – The starting point of every fiber network build-out is to decide which addresses to serve. These addresses to connect are needed to generate automated fiber network plans with FiberPlanIT, developed by Belgian software company and fiber deployment experts Comsof. FiberPlanIT creates network designs in a fraction of the time required to do it manually with a layout that minimizes the long and short term deployment and maintenance costs. Its advanced algorithms take in all the geographic information of the area and in the blink of an eye provide a detailed network design connecting every serviceable location at minimum cost compliant with the desired network architecture. In the industry, the addresses to connect have traditionally been chosen based on estimates on where demand will be greatest or where deployment costs will be lowest. Now, with COS Service Zones you can instead choose a customer centric approach by targeting your future subscribers neighborhood by neighborhood with a demand aggregation campaign to pre-sell the fiber connections. With neighborhoods reaching take-rate thresholds and addresses where customers have already signed up as input for FiberPlanIT’s algorithms you can be sure to design a network that will start generating revenue from day one after deployment. With the deployment cost calculations from FiberPlanIT and the revenue from subscribers pre-signed up in COS Service Zones as input your will have a complete Business Case to base your deployment decisions on. “We have verified that the COS Service Zones data fits perfectly with our network design platform. The first step in a fiber project is to decide your target area, for this you need address information. Now we can propose a tool for them to use to get that address list from the most reliable source – their future subscribers. We are excited to help deliver not only well designed networks, but also networks with subscribers from the start, which guarantees profitability,” says Comsof CEO Raf Meersman. “So many fiber projects have failed due to the wrong decision on where to start the build-out. We developed COS Service Zones to eliminate these unprofitable networks. But knowing the future revenue is only a part of the picture. FiberPlanIT will ensure that deployment costs are kept low and will give you the important cost component needed to make an optimal deployment decision. We look forward to see our customers build profitable networks designed with the help of FiberPlanIT,” says COS Systems CEO Peter Lidstrom. FiberPlanIT is a software solution that turns FTTx network planning into profit by lowering planning and design time, avoiding design errors, and reducing construction costs. This is made possible thanks to FiberPlanIT’s unique automated and optimized design capabilities based on GIS data. Learn more about FiberPlanIT at www.fiberplanit.com. Started in 1998 as a spin-off company of the internationally recognized Department of Information Technology (Intec) of Ghent University, Comsof keeps in close touch with the state-of-the-art in ICT. The success of Comsof is based on a team of highly-skilled professionals who combine an extensive technological knowledge concerning telecommunications, computer networking and multimedia with a broad experience in software development. Draw up multiple competing zones across your city or town. See demand build in real-time as customers signup using your branded website. Wait until target take-rate is reached before deploying to accelerate profitability. Our mission: Subscriber-backed, successful fiber, with no more failed projects. COS Service Zones brings broadband to homes all across the globe. Let’s discover the demand in your community. COS SYSTEMS is a leading provider of software to plan, deploy and manage modern broadband networks that support services from one or more providers, using a powerful yet simple self-service interface. COS Systems takes customer needs and delivers innovative software solutions that streamline operations, accelerate revenue and deliver more satisfied subscribers. Learn more about COS Systems on www.cossystems.com. A unique product suite and the last years’ international successes were the main reasons why COS Systems was named winners in the category Best New Business at this year’s Umea Gala (Umeågalan). 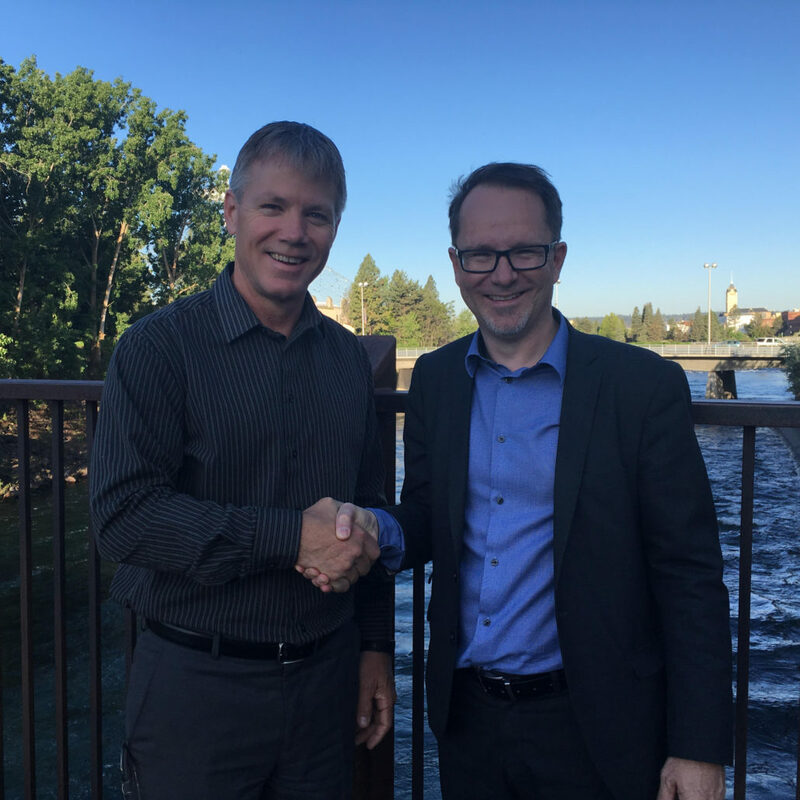 Since 2004 the Umea Gala has recognized successful companies in COS System’s hometown Umea that are contributing positively to the city’s development and the local business community. This year the prize for Best New Business 2016, was won by COS Systems. “This prize might not have a great meaning to our international customers who probably have never even heard of Umea, but for us winning this prize is fantastic. We have a great team that has managed to take us to where we are today, with a truly unique product suite and customers soon in every corner of the world. But to keep the momentum going we need to grow our team. Backed by a state of the art fiber infrastructure our city boasts a very strong IT sector and there’s fierce competition to recruit developers and other competences we need. Winning this prize certainly puts us on the map. I hope and believe that this recognition will help us in recruiting the best talents,” says Peter Lidstrom, CEO. Umeågalan was founded in 2004 to recognize successful companies and entrepreneurs and their importance to the growth and development of the City of Umeå. The Gala has grown into the biggest and most important event for the city’s business community. It’s a place for entrepreneurs to meet and the vision of the event is that Umeå will offer the best opportunities for starting and growing new businesses in Sweden. Umeå is the largest city in the northern part of Sweden with 120,000 people. It is one of the fastest growing IT regions in the country with many successful startups and an inflow of new competency from one of Sweden’s largest universities with over 30,000 students. Since 2004 the Umea Gala has recognized successful companies in our hometown Umea that are contributing positively to the city’s development and the local business community. We at COS are proud to be nominated in the category Best New Business 2016. It might sound odd that we, with roots from early 2000’s, our first major product released in 2008 and our foundation as a stand alone company in 2011 are awarded in this category, but when reading the description of the prize it makes perfect sense. With our unique solutions for Demand Aggregation (COS Service Zones) and Open Access Network Management (COS Business Engine) and our international success we are very proud to be nominated in this category. In only the last year or two we have managed to win customers in more than half of all US states and with our latest customer in the Philippines the only continent left to cover is Australia. Umea has a very strong business community, not at least in the IT sector, building on one of Sweden’s largest universities and excellent broadband infrastructure with fiber in the ground since the mid 90’s. Despite the strong competition we are keeping our hopes high. The winner will be announced this Thursday night at the grand gala. For more information on Umeagalan, visit umegalan.se. 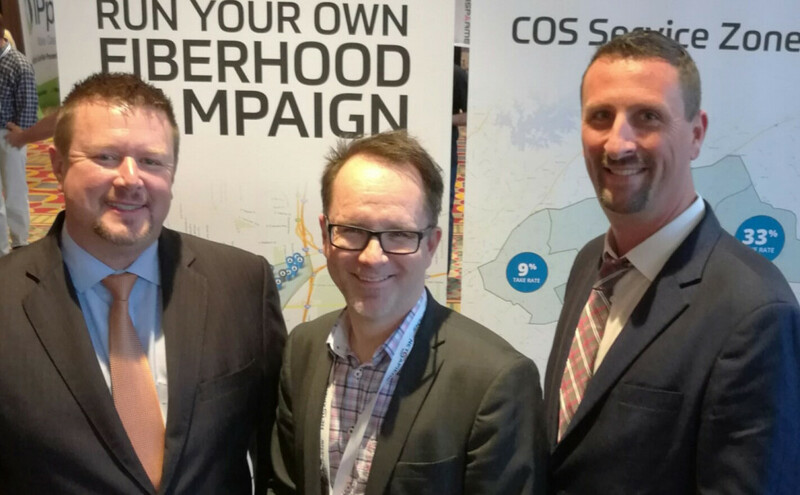 COS Systems team present at this year’s Broadband Communities Economic Development Conference in Minneapolis will include International Business Development Björn Wännman and CMO Isak Finér along with CEO Peter Lidstrom and Chairman Göran Bergling. 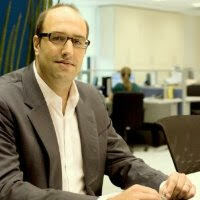 Don’t miss Isak as a panelist during 2 separate sessions at the conference. The first is on Tuesday October 18th for a workshop on Integrated Approaches to Broadband & Economic Development. He will be showing how to use social networking and software solutions to aggregate demand models in order to effectively create building plans, track service offerings and availability to customers. Then he will be a panelist on a part of the Community Toolkit Program on Thursday October 20th on “Developing the Business Case: Part 3 – Demand Aggregation: Justifying the Investment. Here Isak will speak more in depth about Demand Aggregation, including various techniques and how communities have used the techniques to attract investments as well as how ISPs are able to pre-sell services in order to support buildout investments. Swing by booth #22 and say hello to us, we are always eager to learn more about your expansion plans and discuss your thoughts on Demand Aggregation and Open Access Networks. The event will run October 18th-20th in Minneapolis. For more information visit www.bbcmag.com. Are you interested in learning more about Demand Aggregation and Strategic Planning for Your Business? Then don’t miss COS Systems Key Account Manager Anders Lindehall speak on Wednesday Oct 12th 8:30am PST at the WISPAPALOOZA “Strategic Planning for Your Business” session. No matter if you are expanding your Wireless network, or going Fiber come by our table at Fiber Weekend or booth #304 at WISPAPALOOZA and speak to Anders, Olof, or Spencer about Demand Aggregation and see how easy it is to run your own Fiberhood campaign with COS Service Zones. Brazilian Open Access network operator Reabra will initially target residents in central Sao Paulo and neighboring cities Cotia and Rio das Pedras. The goal is to locate the neighborhoods showing most interest in high-speed Internet services in order to plan an optimal network build-out order following subscribers’ demand. Sao Paulo, Brazil – Reabra is a fiber infrastructure provider offering Open Access Internet connections in Sao Paulo. Their vision is to offer high-speed Internet connections to residents, delivered over their open network infrastructure where multiple Service Providers will offer services to the subscribers. Using this approach, Reabra can focus on network expansion and efficient operations, while competition between the service providers will increase quality of service and drive price competition to the benefit of the residents. The services range from 100 MBps up to gigabit speeds without data caps or long-term contracts. “The obvious benefit of using COS Service Zones to signup customers before you build your network is that you can start building where you have the most subscribers and thus the most revenue. It makes a huge difference on the business side when your first deployed areas start generating cash flow from day one, providing stable funds for the subsequent build-out. But just as important is the ability to avoid those areas where take-rates are low. Imagine making your first investments in an area that doesn’t draw in any customers. Such a mistake could risk the future of the entire network buildout or even the company, since the bank or investors could lose their confidence in the project and the network itself is unprofitable,” said Isak Finér, Chief Marketing Officer at COS Systems. The system is already beginning initial setup and soon residents in Sao Paulo can visit the Reabra’s COS Service Zones website to search for their address to see if they are in the targeted areas and show their interest in a faster fiber-optic Internet connection. “We have customers across the globe in Europe, Africa, and North America. Reabra is our first customer in South America and an important milestone for our company. Our goal is to develop software solutions that allow our customers to make any necessary configurations and adjustments by themselves. This ease of use, along with our Cloud-hosted product suite means moving into new markets takes minimal effort. We are very happy to welcome Reabra to the COS family. We believe it will be a great beginning for more customers in South America,” said Peter Lidström, Chief Executive Officer at COS Systems. 1. Draw up multiple competing zones across your city or town. 2. See demand build in real-time as customers signup using your branded website. 3. Wait until target take-rate is reached before deploying to accelerate profitability. COS SYSTEMS is a leading provider of software to plan, deploy, and manage modern broadband networks that support services from one or more providers, while using a powerful yet simple self-service interface. COS Systems takes customer needs and delivers innovative software solutions that streamline operations, accelerate revenue, and result in more satisfied subscribers. Learn more about COS Systems on www.cossystems.com. REABRA provides Brazil’s best option to get connected to the Internet at gigabit speeds. With a fiber-optic based open network infrastructure, subscribers are able to choose high-speed services from multiple service providers. This competition between providers ensures high-quality services at competitive prices. While current Brazilian providers are increasingly implementing data caps for customers, Reabra is proud to offer services on their network with unlimited data traffic and no long-term commitments. KITSAP COUNTY, Washington – KPUD (Kitsap Public Utility District) has been using COS Systems’ demand aggregation software COS Service Zones to survey the county, create community engagement and understand the desire for the deployment of a utility owned fiber optic network connecting the residents with gigabit speeds. “We know there is a need for better broadband in our community, and after all positive responses we’ve received in COS Service Zones, we are confident that investing in high-speed broadband network expansion is necessary for our community, “ said Bob Hunter, General Manager at KPUD. KPUD is one of 28 Public Utility Districts in Washington who have jointly built a fiber ring reaching almost every corner of the State and KPUD has continued to expand their fiber backbone within the county. “With our extensive fiber backbone we are flexible in where we can deploy to residents, however, we need to understand where there is need and demand. Our approach using COS Service Zones splits the county up into small buildable neighborhood zones where we will set a target number of people to sign up in each neighborhood. If there are no technical difficulties, as zones reach the target we will extend our network in the order that is most cost effective and which will bring fiber first to those who want or need it most. At the same time this approach ensures that we deploy where we have a reasonable business case. We plan to spend our money wisely, “ said Hunter. When moving into the residential market KPUD will do it with an Open Access model, which means they will provide the infrastructure while the services will be delivered by independent service providers, driving competition to the good of the residents. “If you’re not happy with your current service, just go to the web portal and pick a new provider, “comments Paul Avis, Superintendent of Telecom at KPUD. In broadband, Open Access is almost synonymous with Sweden where fiber networks have been deployed on big scale since the 90´s and where this model is dominating the market. “Since we’re doing Open Access we found it natural to choose a partner who has been doing this on the most established market in the world for 10 years, “ Said Avis. “The complexity in network operations increases dramatically when you open it up for multiple providers, but with the right system you can actually increase your efficiency. It’s all about ensuring a high data quality with built in validations and keeping track of all the moving parts, which our system COS Business Engine does extremely well, “ said Bjorn Wannman, International Business Developer at COS Systems. The system is planned to be launched to the public in September, when residents in connected areas will be able to go to the website and shop for their Internet services as easy as buying apps on the Appstore. “We have a big number of COS Service Zones customers in the US, but for us it’s a very important milestone when we now bring our network management solution to the market. We hope and believe our long experience in Open Access and our system COS Business Engine will play a significant role in their success as KPUD now moves into the FTTH (Fiber-To-The-Home) arena,” said Isak Finér, Chief Marketing Officer at COS Systems. COS Business Engine is a proven network management solution, supporting both single-provider and open-access networks. Subscribers buy their Internet services from an online marketplace, which increases take rates, ARPU, and customer satisfaction, as the network owner can offer 24/7 availability, while reaching maximum operations efficiency, thanks to the extensive use of self-service solutions. Kitsap Public Utility District (KPUD ) is a municipal corporation in Washington State with incorporated boundaries parallel to Kitsap County. Our mission is building and strengthening communities through utility services. We are proud to be connecting residents of Kitsap County to each other, to local government, and to the world. Kitsap Public Utility District uses demand aggregation tool to validate demand before investing public funds in fiber infrastructure. KITSAP COUNTY, Washington – Little more than a year ago, residents started informally inquiring with the Kitsap Public Utility District (KPUD) to explore whether the PUD could provide internet infrastructure, rather than relying on traditional telecom and cable providers who were not meeting the needs of this rural, mountainous region within commuting distance of Seattle. “COS Service Zones enables the PUD to identify areas of need and want for open access telecommunications services and directs us to which neighborhoods to connect first, “ Avis said. “Because COS Systems’ technology enables self-service, once we’re deployed, we’ll be able to expand and continue to serve customers with minimal additional costs,” Avis said, describing the intent to continue working with the COS suite of products managing the day-to-day operations of the open-access network with COS Business Engine. “Build it, and they will come?” Now, there’s a better way to roll-out fiber – with committed customers. No more deploying from one end of town to the other – then chasing customers. Draw multiple competing zones across your city or town. Deploy, once target take rate is reached, to accelerate profitability. Our mission: Subscriber-backed, successful fiber, and no more failed projects. COS Service Zones brings broadband to homes all across the globe. Let’s discover the demand in your community. Kitsap Public Utility District (KPUD) is a municipal corporation in Washington State with incorporated boundaries parallel to Kitsap County. Our mission is building and strengthening communities through utility services. We are proud to be connecting residents of Kitsap County to each other, to local government, and to the world. COS System’s Demand Aggregation Platform COS Service Zones will Enable Infiniti Broadband to Survey Communities and Pre-sell Services in Order to Determine Optimal Roll-Out Order of Their Fixed Wireless Network. Louisville, KY – In WISPA’s (Wireless Internet Service Providers Association) spring meeting, WISPAmerica, Infiniti Broadband announced they selected COS Service Zones to aggregate demand for their future network build-outs. Infiniti Broadband has set out to deliver state of the art fixed wireless LTE broadband services in underserved top major markets, medium-sized cities and rural areas. Their services will first be launched in selected US markets, but the ambition is to rapidly expand into more US states and the Caribbean. “Our ambition is to deliver best-in-class services and solutions to the rural areas, which are frequently overlooked” said Johnie Johnson, President and CEO of Infiniti Broadband. said Bjorn Wannman, International Business Developer at COS Systems. The COS Service Zones platform will enable residents and businesses to locate their community’s zone on the web based platform at infiniti.servicezones.net, where they will see how many people are needed to reach the take-rate threshold for their zone to qualify for Infiniti’s final assessment prior to build-out. The platform will also be open for survey takers from any location within the selected states, so that anyone wanting better broadband can indicate their interest. If Infiniti finds enough interest in a specific location it will be added to the list of communities competing to get enough subscribers pre-signed to justify a network build-out. “It’s really up to the people out there in rural America to show us where they want our services the most”, concludes Johnson. Isak Finér, CMO at COS Systems. “Build it, and they will come?” Now, there’s a better way to roll-out broadband networks – with committed customers. No more deploying from one end of town to the other – then chasing customers. Deploy, once target take-rate is reached, to accelerate profitability. Our mission: Subscriber-backed, successful build-outs, and no more failed projects. COS Service Zones brings broadband to homes all across the globe. Let’s discover the demand in your community. Do you want to learn more about our products and demand aggregation? Visit our booth at NTCA RTIME in Orlando February 21-24 or the FISPA 2016 Kick Off Meeting February 24-26. Don´t miss our presentation on how to aggregate demand prior to Fiber network build-out at 4 pm Thursday the 25th at the FISPA event. International Business Developers, Bjorn and Olof, will be attending both shows and are eager to learn more about you expansion plans and discuss how to employ COS Service Zones to do demand aggregation ensuring a successful and profitable network. At the FISPA event, Find our Green COS logo among the vendor tables and make sure to also attend our presentation on Thursday at 4 pm. We are looking forward to meeting our existing customers and we are excited about the future possibility of working together with new clients.